Never has photography been so prolific or important. Why work with a photographer? + What can I do for you? What does your brand need? What is most important to you? What are your non-negotiables. I learn about your brand by listening to you. + This should only happen once. What benefit does that have for you? I will learn about your brand and from there we will create meaningful content. You do not have to spend the time introducing someone to your brand over and over -- saving you a considerable amount of time (time is money after all). + While I have standard packages and rates, businesses are as unique as the people that run them, therefore I will create custom packages. + Sessions start at $2,000 and are available on a subscription basis. How often you need a Personal Brand Photographer depends on your company, but my clients see the best results when we work together on a reoccurring basis. Claire Harvey the photographer with You, Your Brand explore why hiring a Personal Brand Photographer is beneficial for business. Claire Harvey is a native Washingtonian, wife, mom of three, lover of nature, adventure and food. For the past 20 years Claire has been involved in both the photography and financial worlds. Claire's initial thrilling photographic endeavor was as an intern at the Christian Science Monitor, photographing President Clinton and other White House events. She had her work published in the international publication. Over the past 15 years, Claire has worked for two prominate public financial companies, advising executives on how to communicate with investors. For 5 years she worked for CapitalSource, during both flourishing years and the downturn of 2008. She later moved on to oversee the IPO of Walker & Dunlop and stayed on board playing an instrumental role in the stock's 5-year movement from IPO price of $10 to over $50. 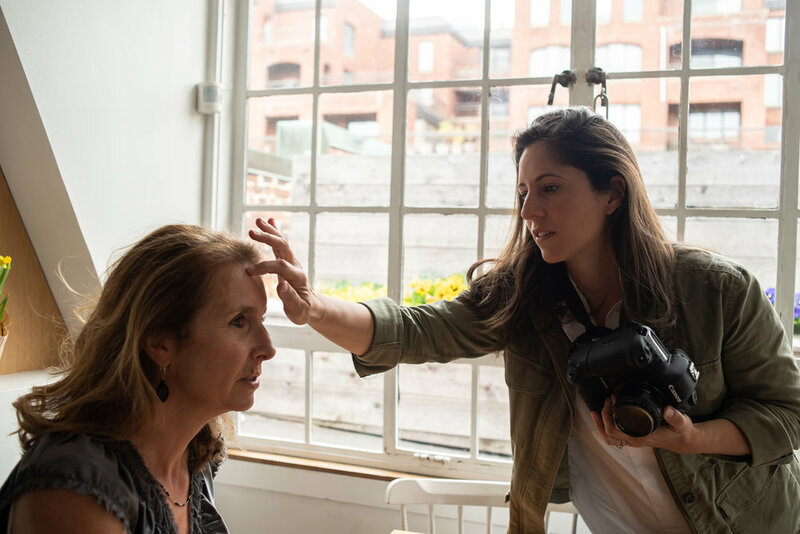 Claire brings together her fascination with entrepreneurial endeavors and her love of, passion for, and talent in photography to create meaningful work for her entrepreneurial clients. This unique blend of business knowledge and artistry makes Claire stand out, not just as a photographer, but as a business and brand resource. Claire was the photographer for The Scout Guide, Washington DC v2. published in 2016.